We’re excited to announce that 2019 will mark the merging of two market leading telco conferences in North America. Light Reading’s Big Communications Event (BCE) and 5G North America have merged to form the Big 5G Event – anticipated to be THE leading conference for the service provider community in North America and a must attend event for those eager to stay abreast of the major technological innovations affecting this trillion dollar industry. 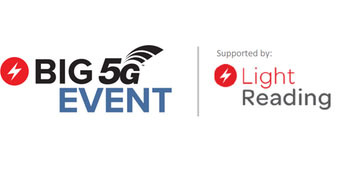 The Big 5G Event’s 5-track conference covers the industry’s most pressing topics, pieces together the 5G puzzle and highlights other key areas of network innovation. Topics covered include: SDN, NFV, “anyhaul” transport, edge computing, AI/analytics, IoT and C-V2X platforms, 5G RAN, 5G core and devices, process automation, network security, SD-WAN and much more. The 1,500+ telecom professionals who will be attending across the two days will enjoy access to multiple keynote sessions delivered by renowned service and solution provider representatives, as well as thought leadership from Heavy Reading’s leading analysts who will guide proceedings across the content rich two days.